Penal Reform International, together with the Thailand Institute of Justice, is developing guidance on gender-specific rehabilitation and reintegration programmes for women prisoners, to assist with the implementation of the UN Rules for the Treatment of Women Prisoners and Non-Custodial Sanctions for Women Offenders (the Bangkok Rules). As part of this, we are collating best practices that implement the UN Bangkok Rules and are seeking input from a variety of countries and contexts (low, medium and high-income). While there are some efforts to ensure rehabilitation and reintegration of women prisoners in many countries, a large majority tend to fulfil gender stereotypes. Given there is an evidenced link between women’s offending and poverty and violence, rehabilitation must be focused on ensuring that these root causes are overcome. There are unique challenges facing prison administrations and reintegration agencies with regards to women offenders, and this project seeks to explore these and propose solutions. International standards are clear that prison systems should be rehabilitative and gender-specific in the case of women. However, Penal Reform International has observed that there is a lack of understanding about how to design and deliver rehabilitation programmes that fit the unique needs of women prisoners. 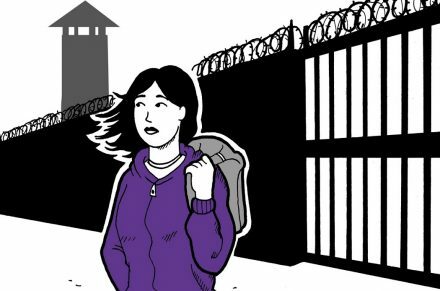 There are still barriers for women in prison in accessing services available to male prisoners. Work programmes in prison that lead to employment or have provided women with a means of earning while in prison, and schemes for saving money, etc. Rehabilitation programmes that address the specific backgrounds/needs of women in prison, including: histories of domestic and sexual violence, alcohol and substance dependence and mental healthcare needs. Also programmes that assist with pregnancy, being a mother or other caretaking responsibilities. Programmes that have addressed typically low-level employment status, lack of support from family and other social networks, as well as stigmatisation. Programmes for specific categories of women, for example foreign national prisoners or Indigenous women, the elderly or sick, long-term prisoners, or women with substance dependencies. For further background information and details of how to make a submission, click here. The deadline to send information is 1 December 2018.